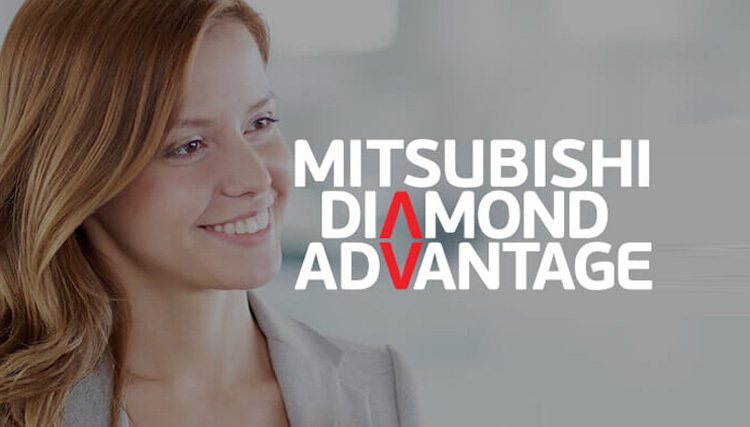 CIRENCESTER, UK – Mitsubishi Motors in the UK is delighted to announce in connection with the CABLED trial the findings from 12 months Electric Vehicle (EV) usage throughout the Coventry and Birmingham area. As the largest of eight public trials taking part in The Technology Strategy Board’s £25m Ultra Low Carbon Vehicle Demonstrator programme1, CABLED2 (Coventry and Birmingham Low Emission Demonstrators) has now collected robust data that can be used to support future decisions relating to transport and infrastructure planning. The data, taken from 25 Mitsubishi i-MiEVs and 20 smart fortwo electric drives during the course of the trial3, shows that in spite of initial scepticism surrounding the capability of EVs and concerns over range anxiety, they are more than capable of meeting the needs of drivers that require efficient urban transportation. This is reflected by the finding that most journeys undertaken (77 per cent) lasted less than 20 minutes and only 2 per cent used more than 50 per cent of the battery – enabling a return journey to be made without the need for recharging in the majority of cases. The data also showed a trend towards drivers travelling longer journeys over time – indicating increased confidence and reduced range anxiety. In relation to charging behaviour, the CABLED data clearly shows that EV users are not motivated to replenish their vehicle’s battery by reaching a particular point of depletion; rather they are driven by convenience and with data showing the vehicles are parked for 97.2 per cent of the time (23.3 hours each day) it is apparent that there is ample opportunity for them to be plugged-in. The most popular point at which people commenced charging was when the battery had between 81-87 per cent of its charge remaining. With the majority of journey’s using less than 2kWh of power (around 12 per cent of charge) this behaviour indicates that charging habitually takes place upon reaching a destination. The average charge time was between two to three hours (typically equivalent to half of a full charge) with an energy transfer of 6kWh costing around 60-80p depending upon tariff (equivalent to one load in a washer dryer). Peaks for charging were observed from 7-9am and from 6-7pm, which can be most likely attributed to charging on arrival at work in the morning or home in the evening. Another peak was seen after 11pm when CABLED participants used timers to take advantage of off-peak energy tariffs. CABLED is one of several government measures designed to increase the number of low carbon vehicles on Britain’s roads and reflecting on these findings Mitsubishi Motors’ in the UK managing director, Lance Bradley added: “It’s very encouraging to see this statistical evidence from the CABLED trial. It clearly backs up our own experience and studies in Japan that people adapt very quickly to driving a pure- EV, such as the Mitsubishi i-MiEV. To know that people complete up to five normal journeys per charge, and at such a low cost, underlines the fact that EVs are here to stay and can find mass-market appeal. Brian Price from Aston University, which was responsible for analysing the data obtained from each vehicles on-board telemetry, commented: “Through satellite tracking and on-board telemetry, we have been able to monitor real-world usage of the latest ultra-low carbon vehicles technologies on an unprecedented scale. “Journey data over the first 18 months of the trial shows us that the battery range of electric vehicles (EVs) more than covers most users’ needs, with most drivers finishing their daily journeys still with over 40 per cent charge remaining. Typical users only need to recharge every two to three days and choose the convenience of a home charge overnight or at their place of work over 85 per cent of the time. As part of the Low Carbon Vehicles Innovation Platform, £25 million has been allocated to eight highly innovative, industry-led collaborative research projects in the field of ultra-low carbon vehicle development and demonstration. The competition, which culminated in June 2009 with the announcement of successful applicants, focused on encouraging the development of industry-led consortia that can deliver in bringing significant numbers of vehicles onto roads quickly. The West Midlands consortium, called CABLED – short for Coventry and Birmingham Low Emission Demonstrators – is made up of 13 organisations, led by Arup, a company with experience that crosses all areas that touch this project, from vehicle design to planning to infrastructure and energy. The West Midlands consortium will trial 110 of the 340-plus vehicles taking part in the Technology Strategy Board’s £25m Ultra Low Carbon demonstrator programme. During which each of the vehicle manufacturers – Jaguar/Land Rover, Mitsubishi/Colt, Mercedes Benz/smart, Tata Motors and Microcab Industries – will contribute vehicles, which includes a mix of fully electric vehicles, plug-in hybrids and hydrogen fuel cell cars. Electricity providers E.ON are delivering charging points for the trial with assistance from the city councils of Birmingham and Coventry. Three of the Midland’s leading universities play a major role in the scheme with Coventry University undertaking the selection process of drivers, Aston University analysing vehicle usage data and the University of Birmingham contributing access and expertise gained from its hydrogen fuelling station, which is currently one of the very few of its kind in UK. A new hydrogen station is planned for Coventry University. The CABLED data so far has EV users in both Mitsubishi i-MiEVs and Smart Fortwo electric drives. The data is for a year’s driving in 25 i-MiEVs (which were handed over to members of the public in December 2009) plus 20 smart fortwo electric drives that were rolled out gradually over the second six months of 2010. Location of charging/parking, i.e. home, work, public etc.